Lampkin is an incredible motorcyclist, having won five consecutive World Indoor Trials titles, as well as seven consecutive World Outdoor Trials Championships that made him a household name. In recent years Dougie, whose father was the first ever Trials World Champion in 1975, tried his hand at hard enduro and has competed at some of the world’s toughest events, but none more so than Dougie’s Wheelie project, where he wheelied the entire 37.7-mile Isle of Man TT circuit on a trials bike. Lampkin recently won the Scottish Six Days Trial for the 12thtime, and will also contest the Scott Trial ahead of the HydroGarden Weston Beach Race displays. Dougie, who recently toured around HydroGarden’s headquarters on his Trials bike (see below link), will be riding over some special obstacles in his trials displays throughout the HydroGarden Weston Beach Race weekend. 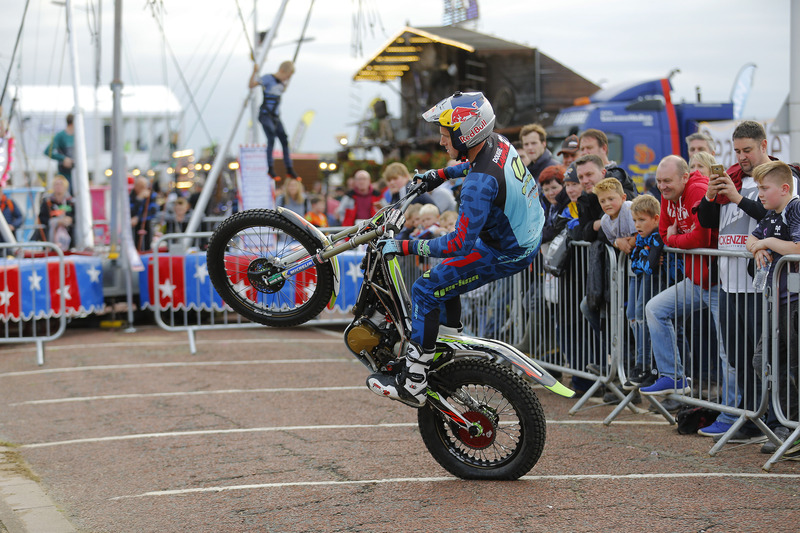 The WD-40 Trials Arena will also play host to the Extreme Mountain Bike Show, which is run by British and European Mountain Bike Trials Champion Danny Butler. Butler and his team vow to wow the crowds with their amazing skills on their mountain bikes, with their eco-friendly display that has travelled up and down the country entertaining many, many people. To see when the displays are taking place please view the HydroGarden Weston Beach Race programme at the event.